The computerised voice, the wheelchair. 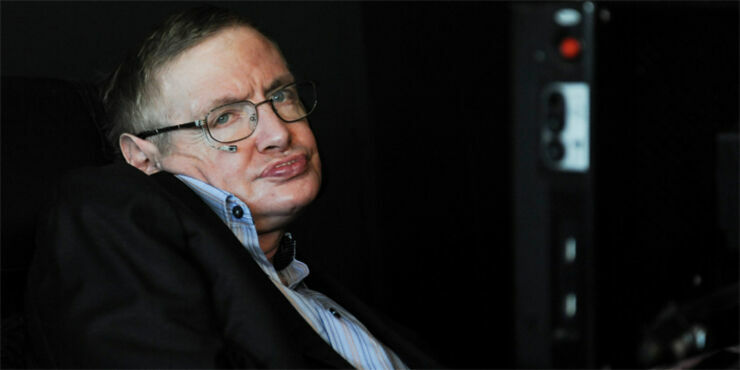 These are two instantly recognisable characteristics of astrophysicist and sometime Pink Floyd lyricist Stephen Hawking. But are they also two characteristics typical of a James Bond villain? Professor Hawking seems to think so. “My idea role would be a baddie in a James Bond film." he tells Wired magazine in an upcoming interview. "I think the wheelchair and the computer voice would fit the part." It's not completely unrealistic for him to think so. He's already had parts on the small screen playing himself in The Big Bang Theory, The Simpsons, Futurama, and Star Trek: The Next Generation. Let's hope Barbara Broccoli, producer for the Bond franchise, is listening. Hawking recently received an upgrade to the software that allows him to communicate so the system now uses predictive text to enable him to type faster. He spoke about the new software at a recent Intel launch for it where he also revealed his pessimistic views on artificial intelligence. He told the BBC: "The development of full artificial intelligence could spell the end of the human race. It would take off on its own, and re-design itself at an ever increasing rate. Humans, who are limited by slow biological evolution, couldn't compete, and would be superseded." Not such good news for us then. But maybe somehow this could be incorporated into Hawking's Bond villain persona? The rise of the machines with Hawking their wheelchair bound human master. Only one man can save us. The name's Bond, James Bond. Poor Leo - Is This The Year DiCaprio Finally Takes Home An Oscar, Ending His Run Of Bad Luck?